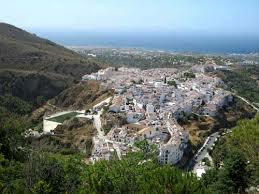 Frigiliana is situated on the easternmost part of Malaga province. It is about 6 kilometers from Nerja and 70 kilometers from Malaga. It also lies 435 meters above sea level. The best parts of the town offer you astounding views of the Sierra Almijara ranges and the Nerja village and Mediterranean Sea below. No visit on Southern Spain is complete without going to Frigiliana. Because of the town’s beauty and well conserved historic and artistic landmarks, it remains a major tourist interest. This town has also garnered several awards for its efforts on preserving the beauty of its history. The town of Frigiliana is divided into 2. There is the old part and the new part of town. The old part depicts much of its Moorish history while the new part of town is more of a typica Andalucian village. Explore Frigiliana by walking through this quaint and very relaxed town. With its narrow and windy streets, make sure to wear comfortable walking shoes. A few of its streets also have steep uphill and downhill climbs. 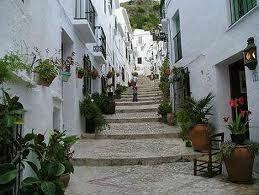 Although it sounds daunting, even the oldest villagers of Frigiliana have been able to pass these streets with ease. Make sure to walk around the old part of town where the old Moorish villages are very well preserved. Ceramic mosaics done by Grace Millan can also be clearly seen around town which narrates the Moorish uprising during the Christian invasion. Other locations of interest are the 16th century mansion that was later turned into a Molasses factory as well as the Church of San Antonio built way back in the 10th century. 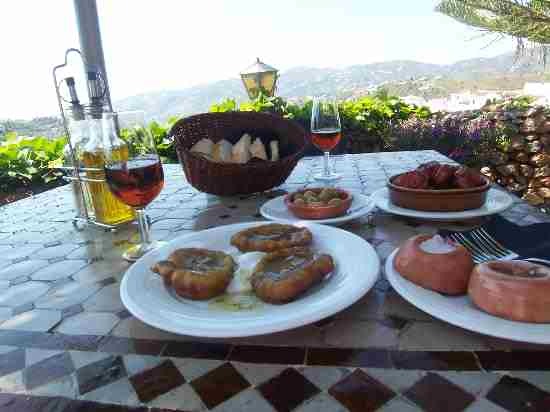 Several great restaurants are also located within Frigiliana. This part of town is well known for its wine called Vino de Frigiliana so make sure not to miss this. It is often used as a pre dinner wine or a dessert wine. Like all the other parts of Spain, Frigiliana also has its own share of festivals. Each year, the town of Frigiliana hosts the Festival of the Three Cultures or the Festival de las Tres Culuras. This festival celebrates the town’s history and co existence of Muslim, Christian and Jewish traditions.